We love decorating gingerbread houses at our house. 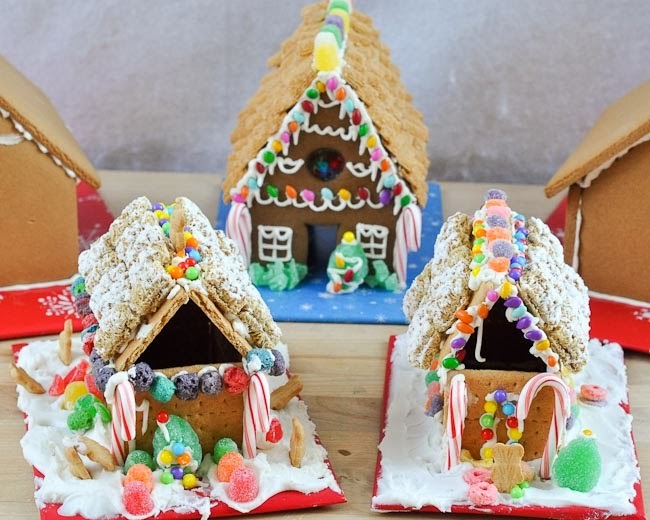 But admittedly, I'd never made them from scratch before this season. I was sure my awesomely soft Gingerbread Recipe wouldn't hold up the decorations, and I don't usually eat the houses, anyway. Graham crackers and store-bought kits worked well enough for us. Now I know. Totally worth it, making our own. Though I did have to add a lot more flour to get the dough stiff enough to hold up. Combine sugar, shortening and butter in a mixer bowl until light and fluffy. Add eggs. Mix to combine. Add molasses. Mix to combine. 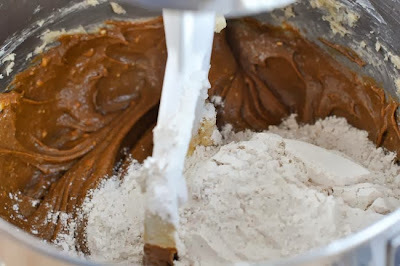 In a separate bowl, whisk together 4 1/2 cups of the flour, the salt, spices and baking soda. 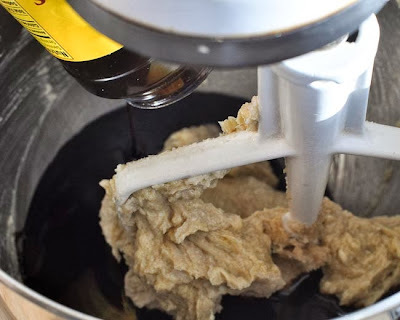 Add flour mixture to molasses mixture in three or four additions. Mix until completely blended each time. 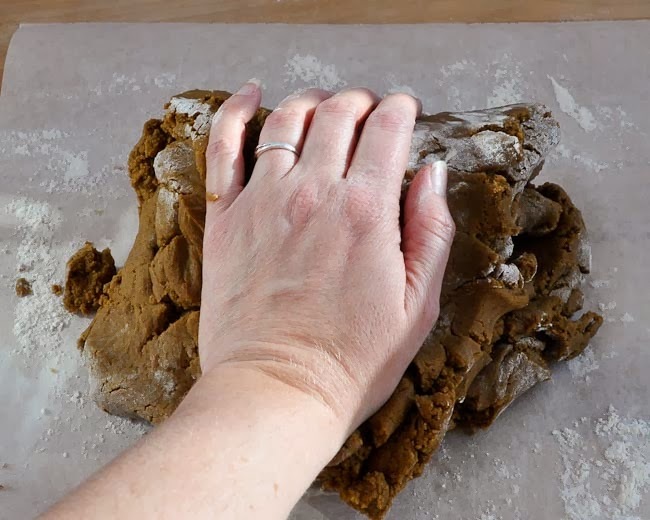 Remove the dough from the bowl, and knead until the dough sticks together. 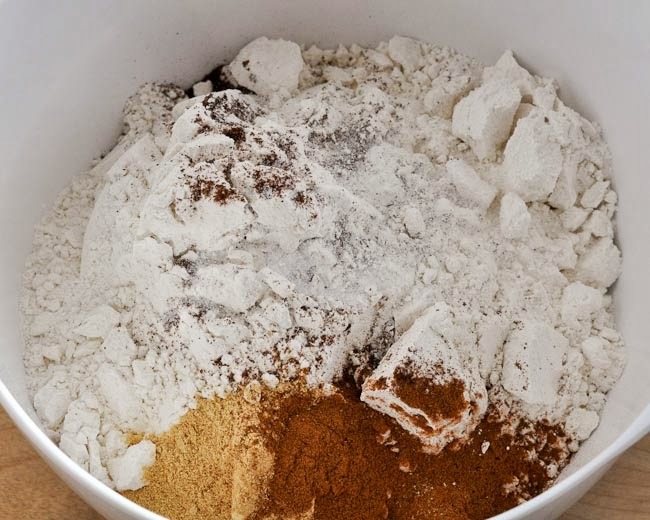 Adding as much as a cup of flour as you go. 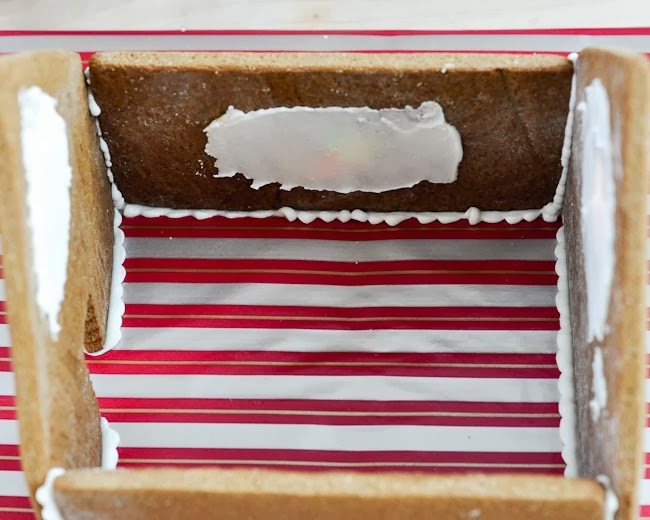 Wrap with plastic wrap. Refrigerate for at least 2 hours or overnight. 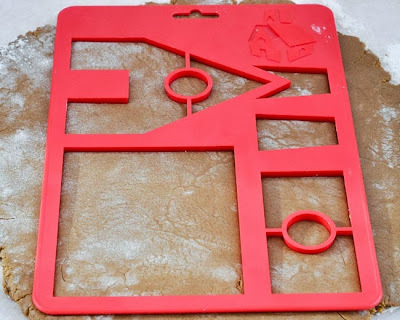 If you do not have a cutter, you can find a simple template to cut with a knife and a ruler here. Remove the cutter and the dough between the pieces... trying not to move the gingerbread house pieces. It's too hard to keep the large pieces straight. 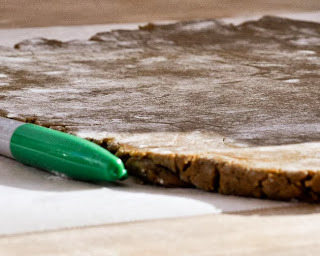 Place the parchment paper on a cookie sheet. 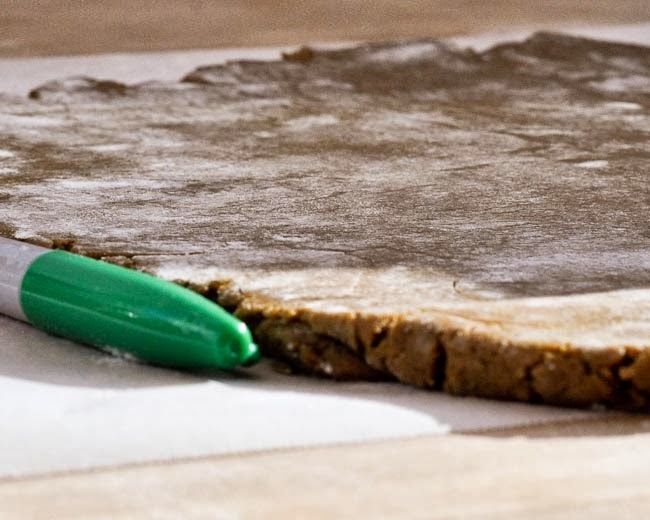 Place the cookie sheet in the freezer for 15 minutes. 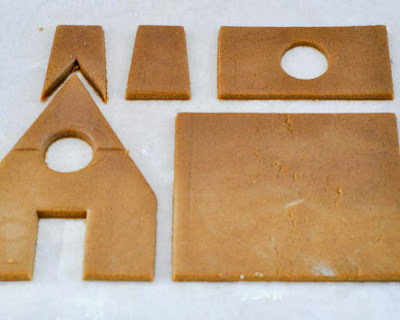 (Preheat the oven to 350-degrees (F) while the cookies are in the freezer. 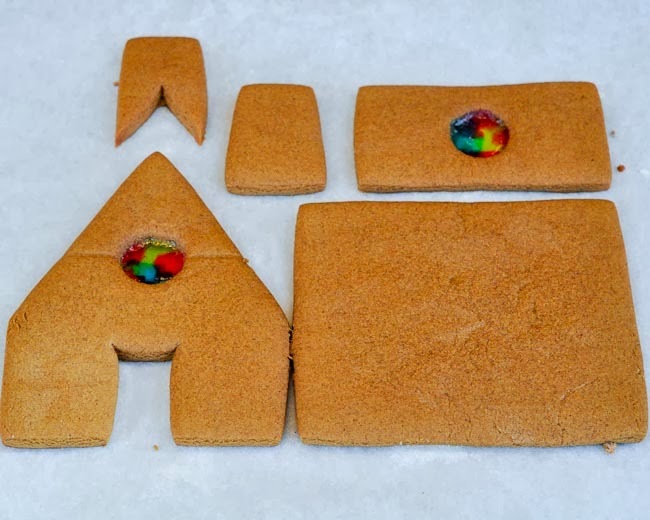 If you want to add "stained glass" to the cookies, crush some hard candies, like Jolly Ranchers, and place the pieces in the cut-outs. Bake for 10 minutes at 350-degrees (F). 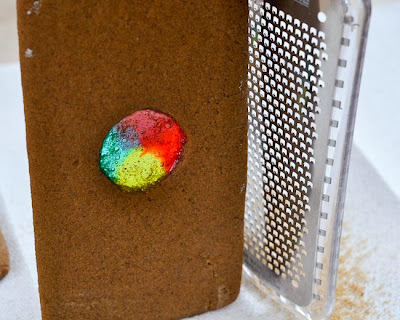 Cool completely on the cookie sheet. 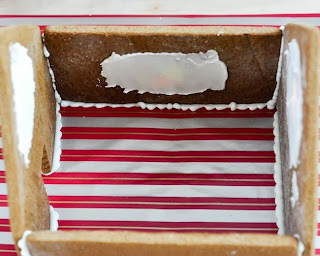 The candy takes a while to cool. Be careful not to move it. 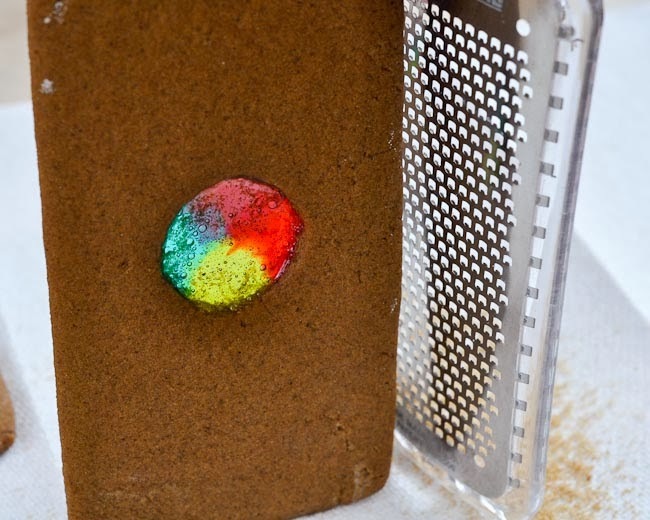 When the cookies have cooled completely, straighten the edges with a microplane grater or using a bread knife to file the rounded edges down. Use Royal Icing as glue to assemble the house. 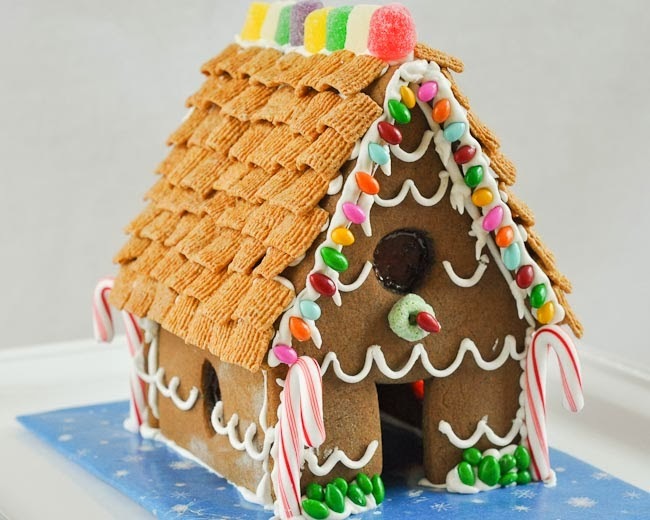 If you made stained glass, you may want to spread some white icing on the back of the windows so that you can see them when the house is assembled. Another idea I had for the stained glass was to place a battery-operated votive candle inside, but I didn't get a chance to make that happen this year. 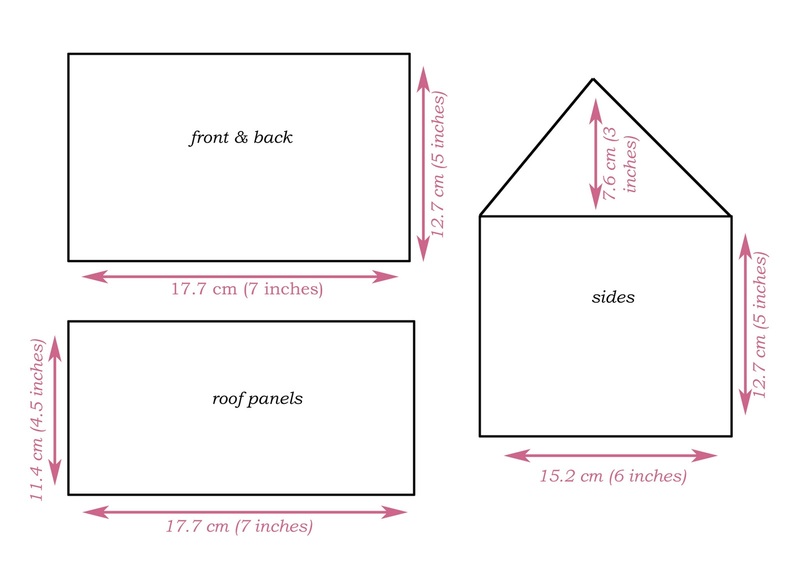 I recommend allowing the base of the house to dry for about 30 minutes before adding the roof. 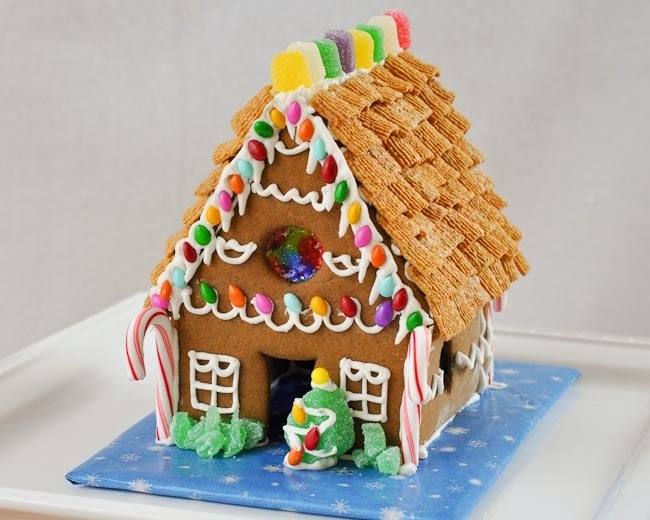 Then, you can decorate with you favorite candy, cereal, or whatever you wish! 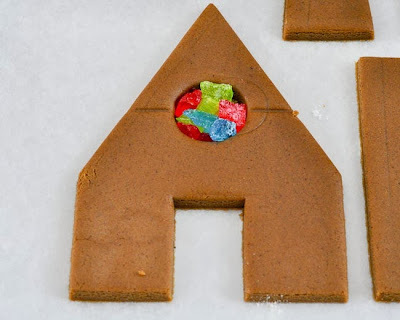 Click here to see my Gingerbread House Decorating Tips and Tricks.